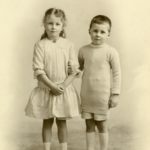 I have been “downsizing” my collection of old photographs from various sources and selected a number that I really must keep and hear are five of them. A delightful studio photograph taken in the Handsworth Studio of H Whitlock around 1900. 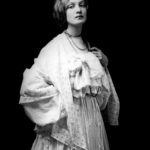 In the early days of photography simple cameras for people to use were simply not viable, so the professional photographer set up a studio and the family went there for photographs, if they could afford it. 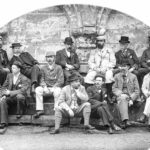 Whitlock was a notable Birmingham photographer and one of his studios was in Handsworth. Initially exposure times were quite long so smiling was ruled out as it is difficult to keep a straight smiling face. Also small tables were provided for anyone standing to lean on to stop any movement. Here the exposure time must have shortened quite a bit as the children have nothing to support them, but it looks as though smiling was not encouraged although it was not far away. 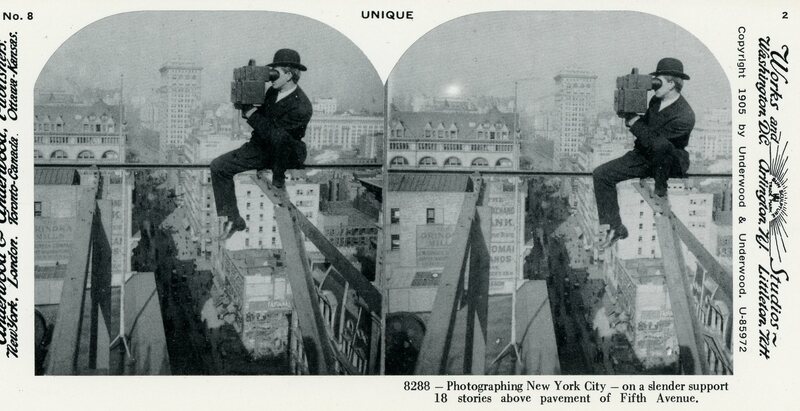 A print of a stereo photograph of a photographer taking a stereo photograph high above Manhattan in about 1915 and without seemingly any support. It makes me shudder! 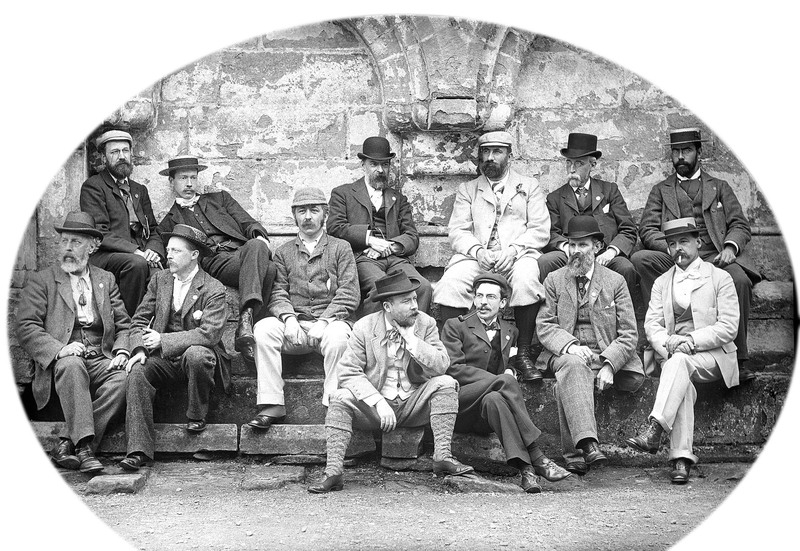 A reproduction from a lantern slide by Marion Silverston in about 1900 that I have entitled “Group Outing”. Almost all the characters have a badge in the left lapel of their coat but I cannot read it. So who they are has not been determined but it has been suggested that the place may be Wenlock Abbey. I think the sharpness of the image and the delicacy of the contrast is quite remarkable. 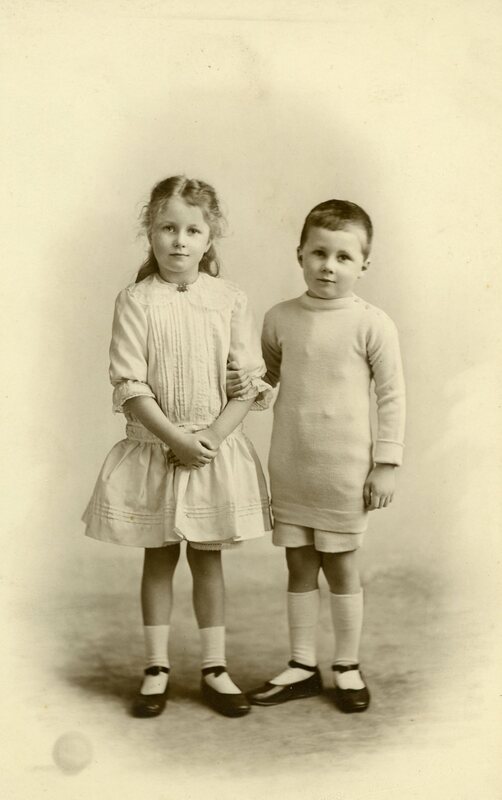 Marion Silverston was a significant Birmingham photographer who set up a studio in Edgbaston and concentrated on photographing children. 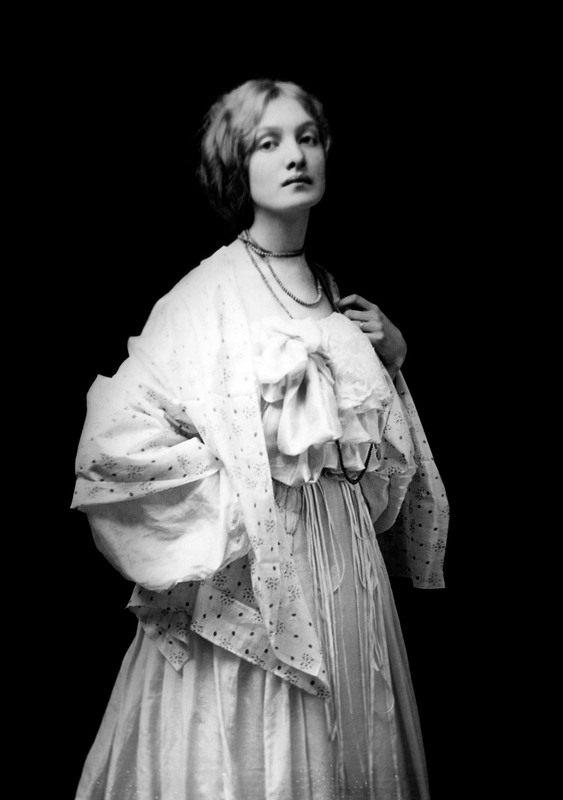 “Lady Disdain”, so named by Marion Silverston, again an image from a lantern slide. I think that this must have caused quite a stir, with it’s black background and intriguing image.. 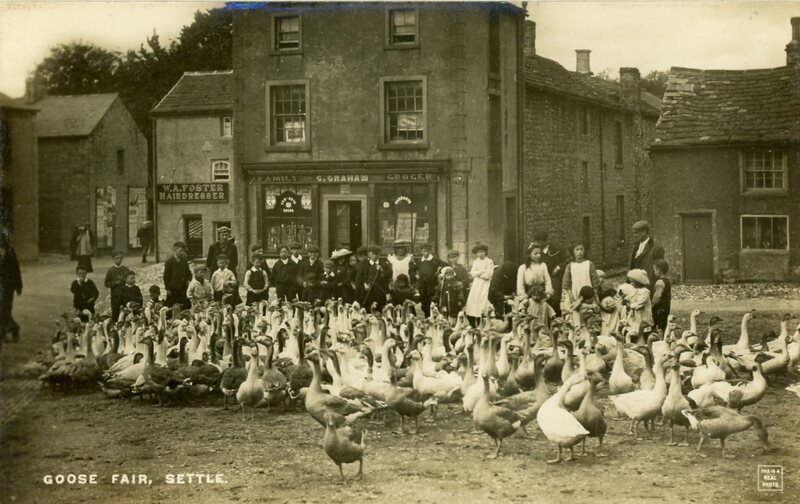 The Goose Fair at Strettle. A small print, date unknown. This is intriguing for me because in the bottom right hand corner there is a small sign which states that “ This is a real photo”! This entry was posted in Old Photos on April 17, 2019 by John Sawkill. Five interesting and intriguing images. 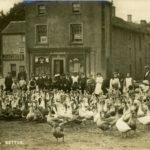 I would love to have a copy of the goose fair photo , if that would be possible. Lady Disdain lived on the wall of my lounge for several years, until eventually my children said they were scared of her ! 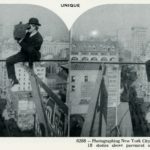 I love these photos – although the NY one gives me a strange feeling in my stomach! I also love the goose fair (how come they didn’t just wander off?) and, of course, Lady Disdain!